In a mixing bowl, cream butter and sugar. Add flour, oats extracts and salt; mix well. Roll out dough to 1/4 inch thickness. 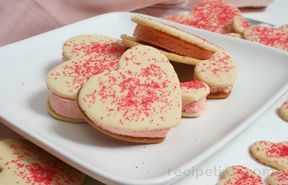 Cut with 3 inch heart shaped cutter; place on ungreased cookie sheets. Bake at 350° for 12-15 minutes. While cookies are warm, spread melted chocolate on tops. 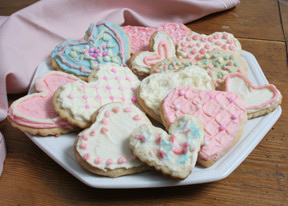 Can decorate with sprinkles if desired.